Jetsetting to weddings from Hawaii to Mexico to Nashville, the country music community felt the romance in 2017 and couldn’t help but put their love on display. 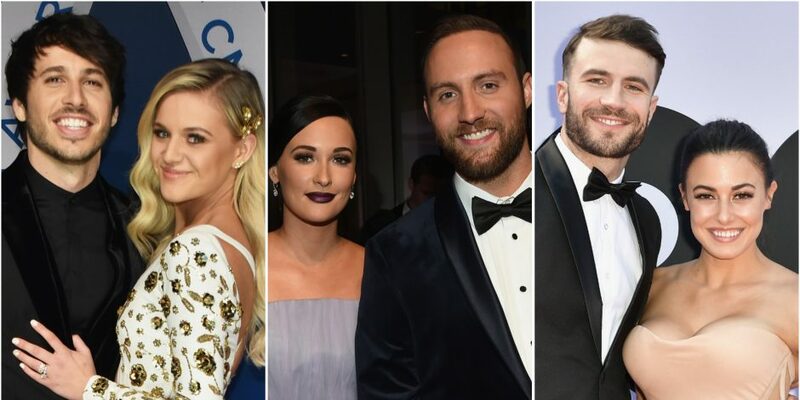 Oh, it is love for so many country singers and their significant others this year as a good number of stars tied the knot to their forever special someones in 2017. All year long, blushing brides and dapper grooms dressed to the nines to exchange those emotional vows and stick together for the long run. Jetsetting to weddings from Hawaii to Mexico to Nashville, the country music community felt the romance in 2017 and couldn’t help but put their love on display at each and every reception. The year of love kicked off with a surprise ceremony from Frankie Ballard and his longtime lady, Christina Murphy. Never announcing to fans that they were even engaged, the pair ran off together and exchanged their vows at an undisclosed location on March 12. Sharing the news of their marriage on social media, Ballard admitted that Murphy will always ‘Accomp’ny’ him as his wife. Sam Hunt broke the hearts of many, but filled the heart of one when he and on-again, off-again girlfriend Hannah Lee Fowler made things official during their April ceremony. The two wed in his hometown down in Georgia during a small and intimate gathering of friends and family. Fowler instantly became his constant companion for red carpets and tour life throughout the remainder of the year. Dan Smyers from Dan + Shay and his girl, Abby Law, built their love ‘From the Ground Up’ and never looked back! 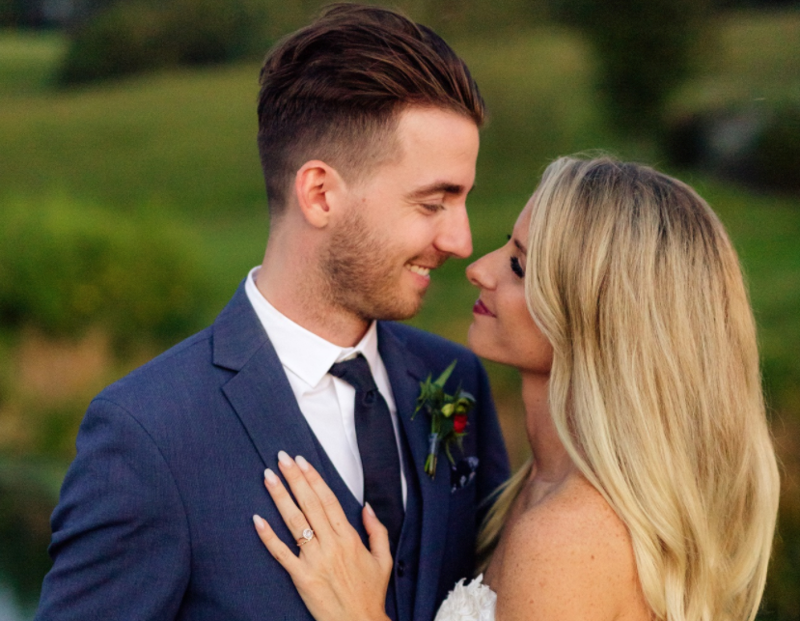 Bringing all of their guests in to Nashville, where their storybook romance began, the couple got hitched on the evening of May 13. Bonus fact: they assigned groomsmen and bridesmaid positions to the two dogs they share together, and even dressed up the pooches for their night to remember! Thank you @people for the love!  @bonphotage dress by: @galialahav venue: @greendoorgourmet #wedding #love … link to article in bio! After two years of happiness together, Josh Gracin made Katie Weir his wife during their Nashville wedding held in early May. Opting for what Gracin described as a “fine-art wedding,” the two decorated their Green Door Gourmet venue with chandeliers and white linens for a rustic chic feel. 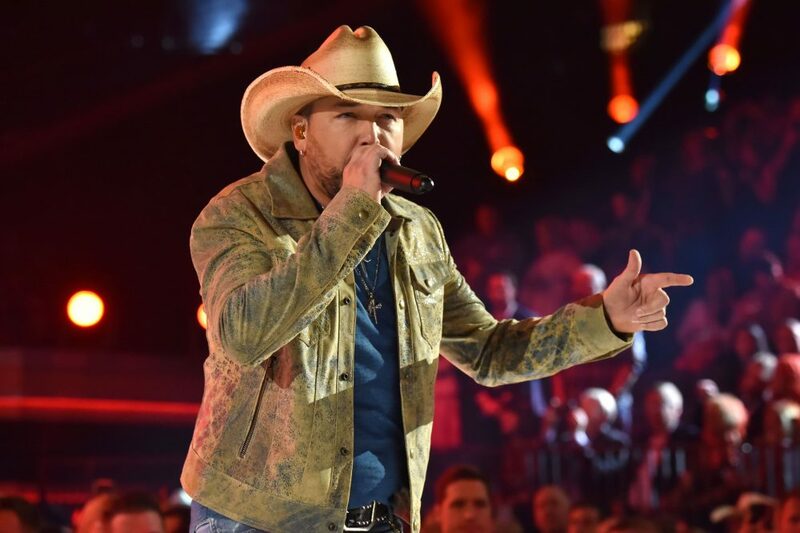 The country singer and her longtime boyfriend flew far, far away to California to get married surrounded by their loved ones at a fancy racetrack in the Golden State on June 3. Laura Bell Bundy traded in her title of being Legally Blonde for becoming ‘legally Mrs. Hinkle’ when she kissed the man of her dreams and became his wife. While Mickey Guyton surely appreciates the ‘Nice Things’ in life, she chose for a smaller gathering on a Hawaiian island for her dream wedding. Rather than hosting a massive gala for her special day, Guyton and her now husband took the beach route in Kauai to shed her image from the limelight and just focus on the love surrounding the two. As the lead singer of LANCO, Brandon Lancaster ended up landing the ‘Greatest Love Story’ when he married his girlfriend, Tiffany Trotter, on September 17 right on the outskirts of Nashville. Calling the moment “surreal,” Lancaster was just plainly happy to be marrying the girl he called his “best friend” and romantic life partner. She may call herself a “Dime Store Cowgirl,” but Kacey Musgraves can also call herself a wife after getting hitched to Ruston Kelly. The singers cheekily hinted to their nuptials on social media just hours before they wed in Tennessee on October 14. Time to start writing some loved-up hits, Mrs. Kelly! Dan + Shay’s Shay Mooney exchanged vows with girlfriend Hannah Billingsley in October. The two celebrated their love, and their first child together, during their outdoor reception before sweetly running off for their ‘hooneymooney’ down in Mexico. 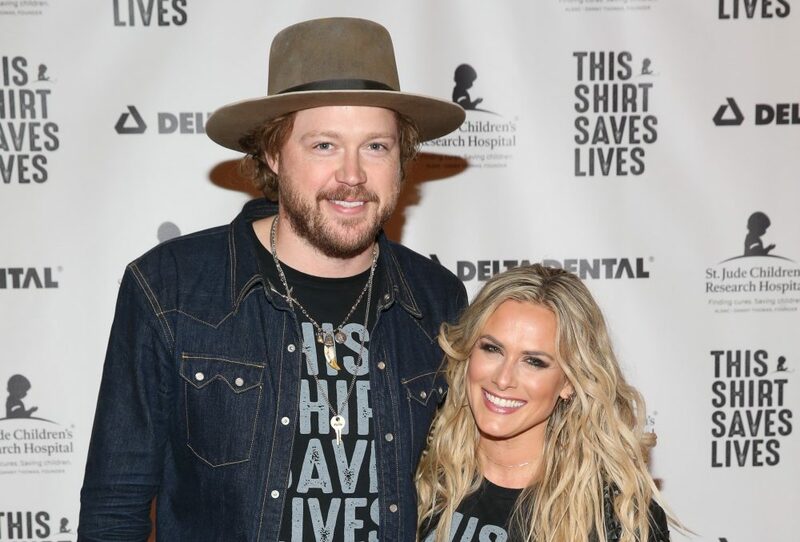 The Nashville star kept the drama to her television show when it came time to marry fellow musician Brandon Robert Young. After getting engaged during a show at the Grand Ole Opry, Clare Bowen and Young thought there was no better place to wed than in Music City where all of their dreams came true. Here we go! Congrats Barry and KJ! 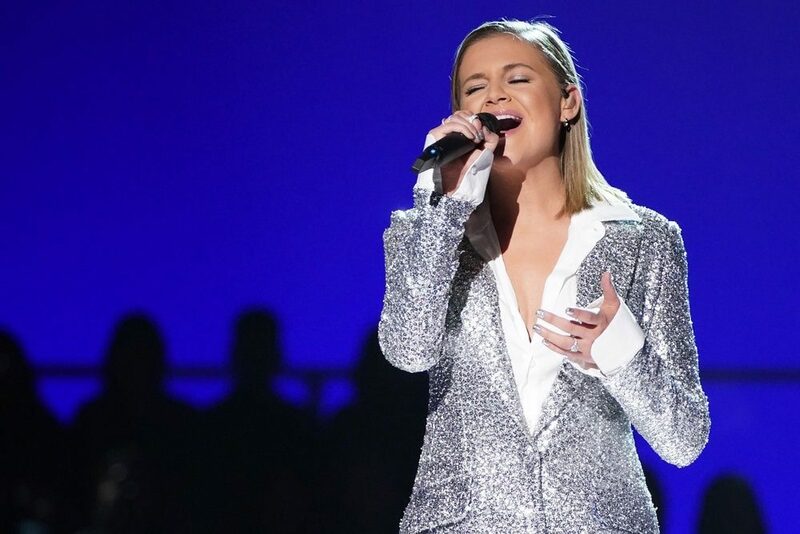 Morgan Evans called ‘Dibs’ on his girl, Kelsea Ballerini, and the two became ‘Legends’ when they tied the knot in Mexico on December 2. While the “Unapologetically” singer went for a barefoot beach look, her handsome husband suited up in a fancy tux for the occasion. Guess Evans truly loved her like he meant it! Wishing all of the couples a lifetime of love and happiness!